In this Dog Breed Corner, we look at one of the most photogenic pooches around: the Bernese Mountain Dog. 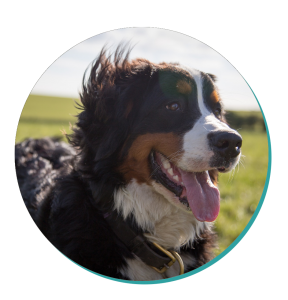 Read about the Bernese Mountain Dog’s history, living needs, trainability, personality, and more! 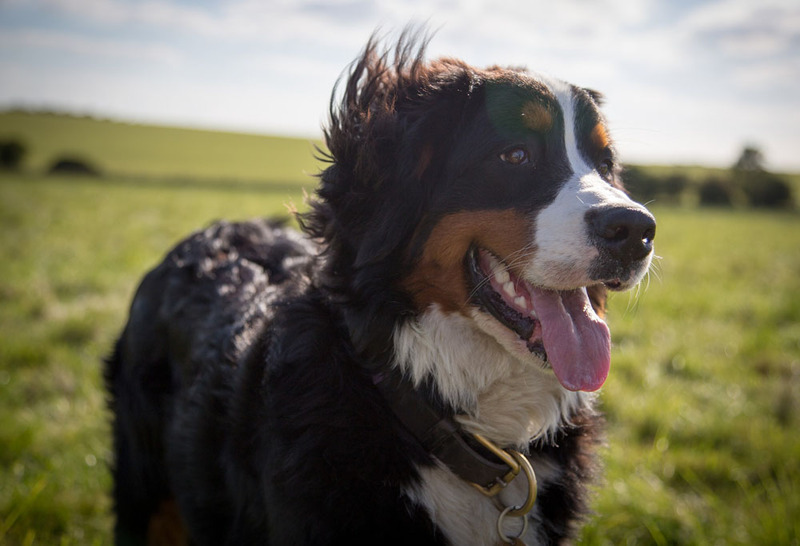 For over 2,000 years, the Bernese Mountain Dog has been a cornerstone of farm life in Switzerland. Whether herding sheep, guarding the homestead, pulling goods, or standing by their Owners, the “Berner” proved itself invaluable to farmers in the Swiss Alps. However, by the dusk of the 19th century, the number of farmers in Switzerland had dwindled. As this decline coincided with the advent of mechanised farming, the Bernese Mountain Dog almost went extinct. Fortunately, a group of Swiss dog lovers nurtured the breed back from the brink. Drawing on the gene pool of the few remaining Berners, the group shepherded the breed into the 20th century. These days, the Bernese Mountain Dog is known less for its farm work, and more as an active, loving companion. If you’d like a dog that remains a puppy long after they’ve stopped growing, the Berner is for you. A mixture of athlete and jester, few dogs can match the Bernie in the realm of playfulness. Combine these traits with a sharp mind and acute EQ, and the Bernese Mountain Dog is great with children. They’re also quick learners, and will pick up tricks, agility, and obedience training in a trice. Given their sensitivity, they can feel hurt if trainers correct them harshly, so use the carrot instead of the stick. Think the Bernese Mountain Dog is too pretty and photogenic for a rough-and-tumble lifestyle? Think again! As this breed began their life as a working dog, they feel the urge to herd sheep and pull carts. While carts and sheep may be scarce in your home, your Berner will be happy with any physical activity. Long walks, fetch, tug-of-war, agility training, and many indoor games can all give this pooch their activity fix. Before you bring home a Berner, be mindful: this pup will not cope well in a sedentary household. Likewise, they’ll be at their most relaxed in a spacious house with a fenced backyard. Because of their highly social nature, they’ll also struggle if left to their own devices. A present Owner will bring out the best in this dog – and its best is a wondrous thing to behold. With its name (“Bernese” for the central Swiss region of Bern Canton, “Mountain” for, well, mountain), the Bernese Mountain Dog tries to warn you: it’s a cold climate dog. As a result, you can expect a LOT of shedding – especially during autumn and spring. You can try to get ahead of it, but just know that you’re in for Shed City. Shed City! When summer arrives, you’ll need to take extra steps to keep your Berner cool. Fail to do so, and your pooch may risk overheating. Unfortunately, the Bernese Mountain Dog’s health issues don’t stop at an aversion to heat. As we mentioned earlier, the modern-day Berner stemmed from a very small breeding pool. As a result, they have a shorter lifespan than many other breeds, and are vulnerable to a range of diseases. The average adult Bernese Mountain Dog can haul up to 10 times its own body weight!